I've partnered up this year with Telula and @thefeedfeed to show you simple ways you can incorporate cold-pressed juice into your everyday routine! What's great about these shelf-stable cold-pressed farm to bottle juices is that my kids can bring them to school or have a nutrient-dense afternoon pick-me-up. With 10 flavors there's definitely something tasty for everyone! Telula uses non-toxic glass bottles & it can be found in most major supermarkets, so it's easy to stock up on them. My kids love these, so I'm happy to have these on hand. While you can enjoy Telula juices straight from the bottle, it's also fun to have them as ice pops (and dream about warm summer days...) I added more chia seeds to the Beet Carrot juice, and popped some fresh blueberries into the Green Zing and Coconut Citrus, with a splash of coconut milk. 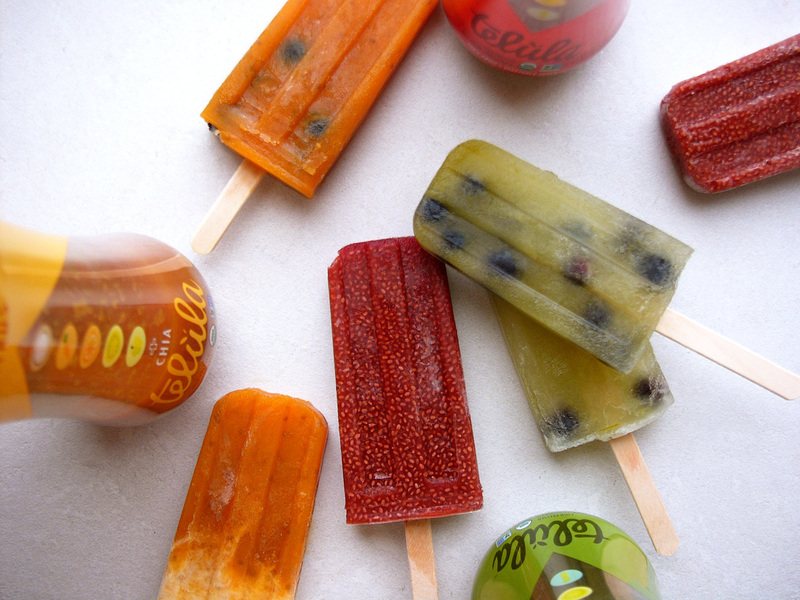 Simply pour into popsicle molds, pop the sticks in, and freeze overnight. Mix each of the juices with their respective ingredients and pour into popsicle mold. Cover and insert wooden stick. Freeze overnight or until solid. Run under warm water for 1-2 minutes to release the pops from the molds.